We live and work in a unique, forward-thinking city, blessed with natural beauty, natural resources, and businesses and individuals who choose to make the right decisions for a brighter environmental future. Global climate change presents an ever-increasing risk to our local environment and economy. From forest fires, to droughts, to shortened ski seasons, a changing climate is not what’s best for Boulder. Boulder is considered a national leader in sustainability with its Climate Action Plan and Zero Waste Master Plan, yet we are falling behind in reaching our goals and need to take action to get back on track. One of the most effective actions we can take RIGHT NOW to reduce our greenhouse gas emissions and reduce our waste is to double our business recycling rate. The business sector only recycles 17% of its waste and sends more than three times as much trash to the landfill as Boulder homes. Zero Waste is our future and recycling is an easy and minimal first step that many businesses in Boulder haven’t taken. Boulder businesses can do better, and we think it’s time that they do. 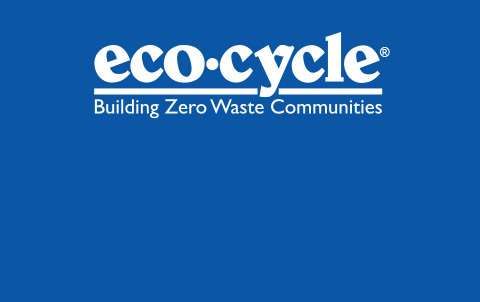 Eco-Cycle is asking you, our 2013 City Council candidates, to endorse our strategy to combat climate change and get us back on track to achieve the goals of our Zero Waste Master Plan and our Climate Action Plan. Please sign the pledge by October 11th.